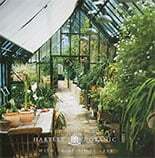 The acquisition of the finest greenhouse money can buy may be as simple as ordering a Hartley Cottage 6 for a much loved small garden, or as radical as the design and creation of a bespoke Hartley greenhouse, the inspired central feature of an exceptionally large garden or estate. Complete flexibility is our key to providing the service you want. Our design, planning and construction teams can provide all the services necessary, but customers always have an entirely free hand. Most greenhouses reside on a low walled base, for which many customers prefer to use their own builder. The greenhouse is factory pre-assembled, without glazing, into the largest practical sections for delivery to the site for final assembly. You’ll detect no pressure or preference from us, just a reminder that you can always rely on our specialists to orchestrate and complete the entire process, to the point where you can eagerly commence stocking and planting. Following your initial enquiry, old fashioned courtesy still prevails. From discussing your full requirements, and finalising the design, siteing and drawings, to planning permissions, fabrication and delivery, we take pride in offering personal customer service and care. As a Hartley owner, you will also have the comfort and reassurance of the long lasting relationship between us. Big or small, every Hartley greenhouse is made to order, and many of our structures are entirely bespoke, and utterly unique. Finally, be as particular as you like. If you see here the definitive Victorian greenhouse for your garden, but you need two porches instead of one, or a couple of metres extra length, or perhaps additional integral cold frames, we’re only too happy to customise our product range, and create a very individual greenhouse. Because in the ideal world, every serious horticulturist would own a bespoke Hartley.